The Princess Cyclecar Company was established in December 1913 to produce a cyclecar called the Little Princess, which appeared in February 1914 as a 12 hp two-cylinder two-passenger roadster. However, cyclecars were losing popularity and later in 1914 the Princess Cyclecar Company was reorganised as the Princess Motor car Company. The Princess was the Little Princess with a new name. The Princess became a 23 hp four-cylinder motor car for 1916 and was offered as a two-passenger roadster or a five-passenger touring model. A speedster model was added to the line for 1917 and 1918. However, sales did not meet expectations and it was all over for the Princess by the end of 1918. I do not know, if there was an emblem for the Little Princess cyclecar. If you have any information about a Little Princess emblem, please let me know, in order to update this post. 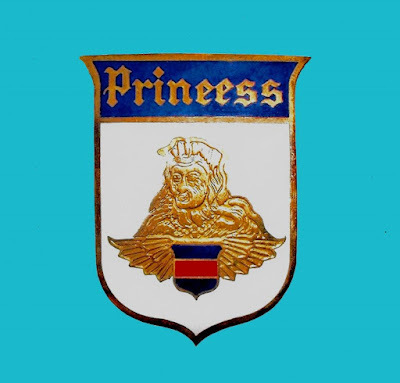 The Princess carried a white, blue and red enamel radiator emblem with a beautiful, crowned Princess above a winged shield, see example shown above. The Princess radiator emblem is very rare. There is a reproduction Princess emblem made by Pulfer, see below. 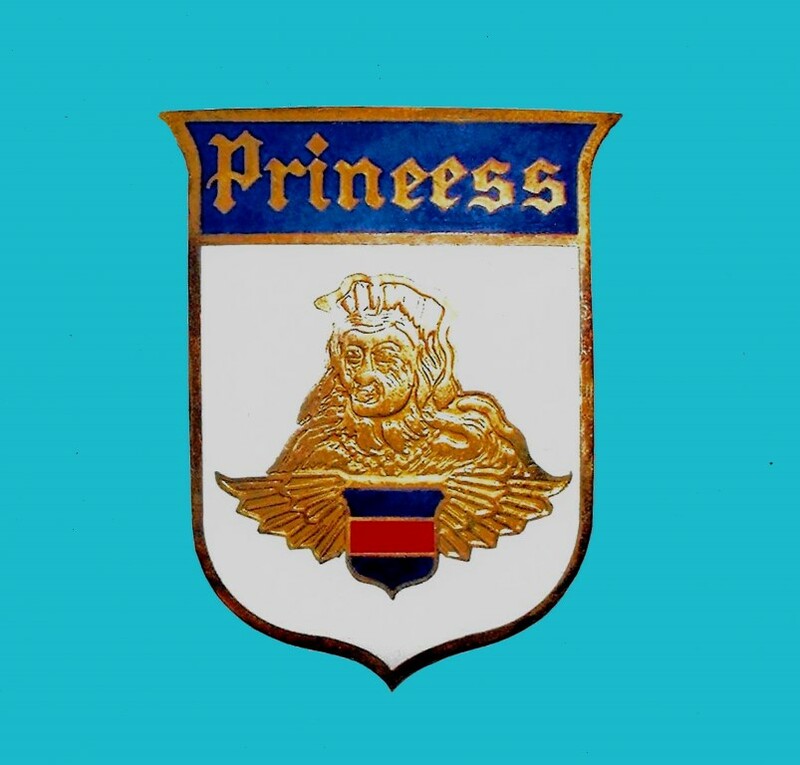 But this is easily identified as it is crudely made with a flat back, has a very ugly Princess and, most significantly, the emblem carries the name "Prineess" instead of "Princess", no doubt due to a misinterpretation of Harry Pulfer's instruction by his Hong Kong based emblem maker.